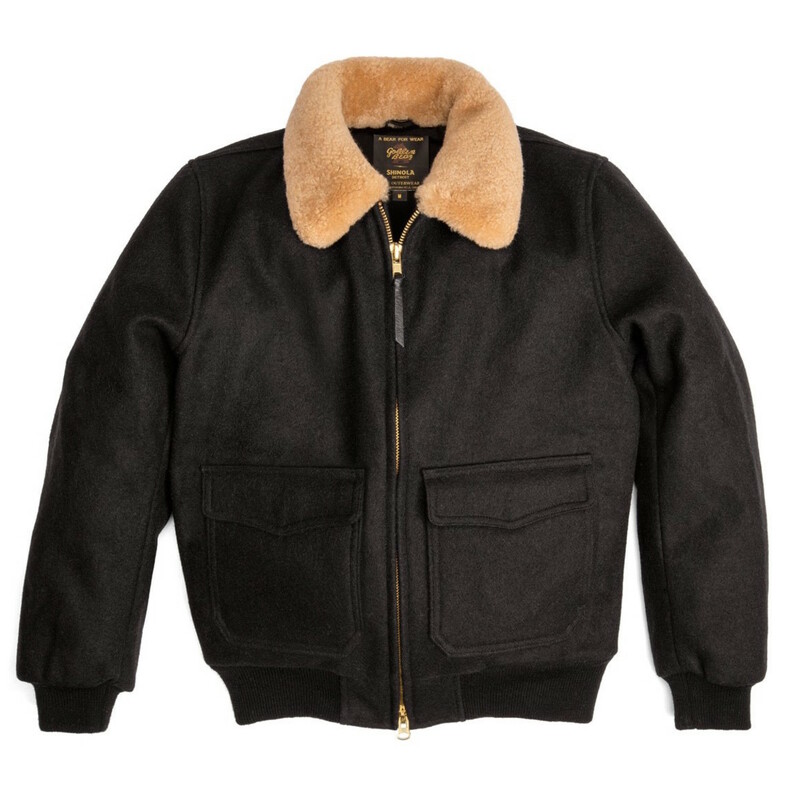 The flight jacket gets the Golden Bear treatment. 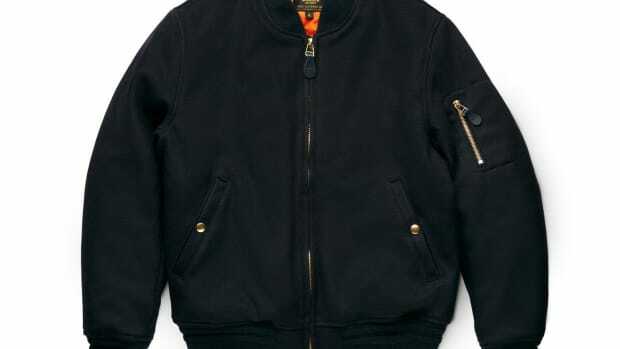 Here&apos;s the perfect complement to the Bell & Ross pilot watch we showed you today, a beautiful A2-flight jacket updated for 2015 by Golden Bear and Shinola. 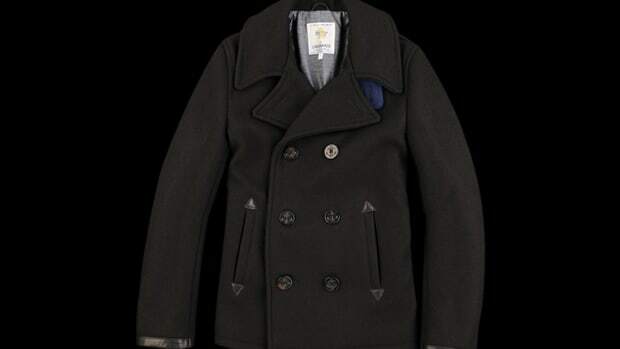 The jacket is crafted from warm grey or black melton wool that really can&apos;t go wrong with for the winter and that plush sheepskin shearling collar adds a touch of functional luxury that&apos;ll definitely keep Jack Frost from breathing down your neck this winter. The collaboration swaps the traditional nylon for wool. 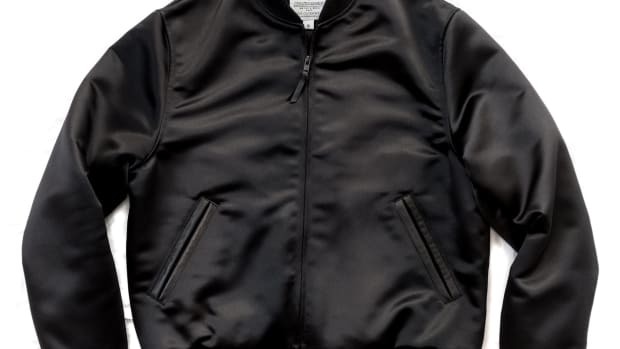 Perfection in mid-weight Japanese satin.